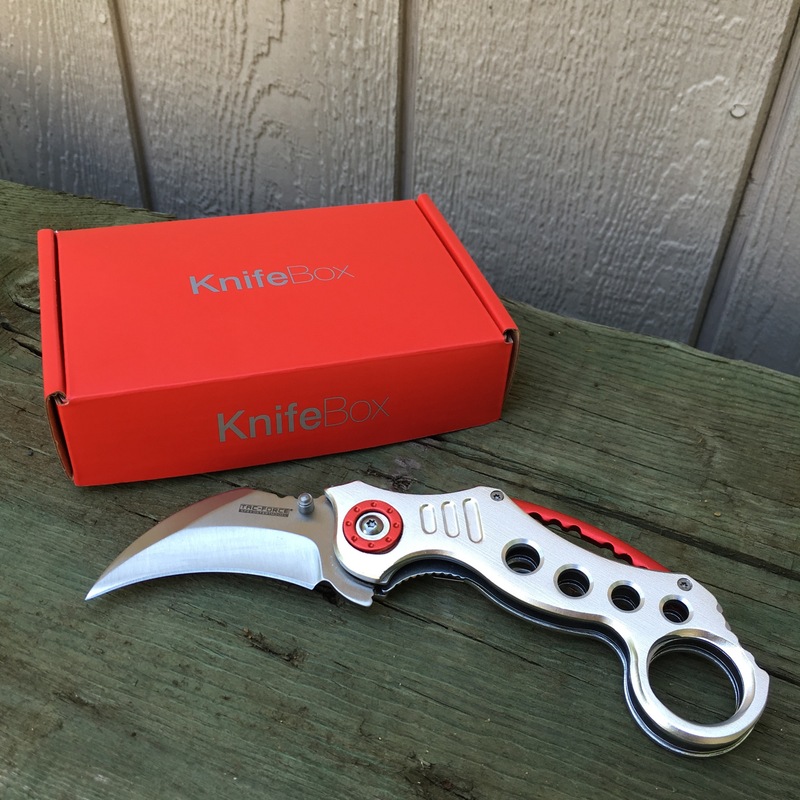 KnifeBox Tactical Spring Assisted Knife. 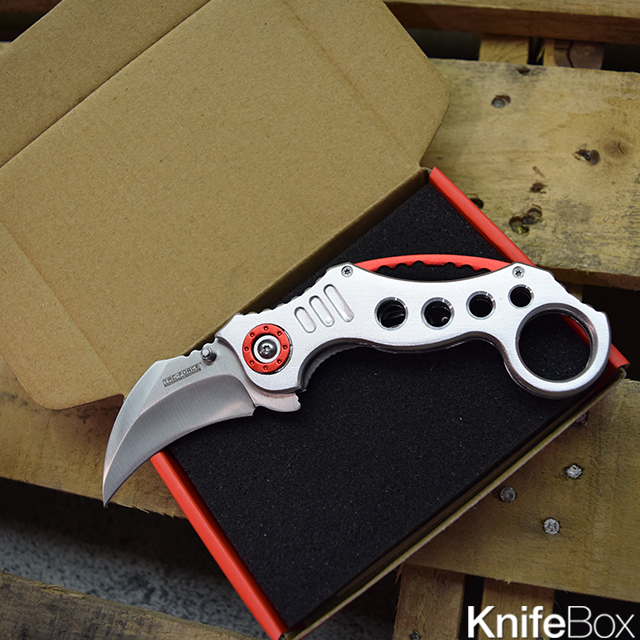 This knife has a 2.5" 3MM curved silver thick stainless steel blade. Measures 5.25" while closed. 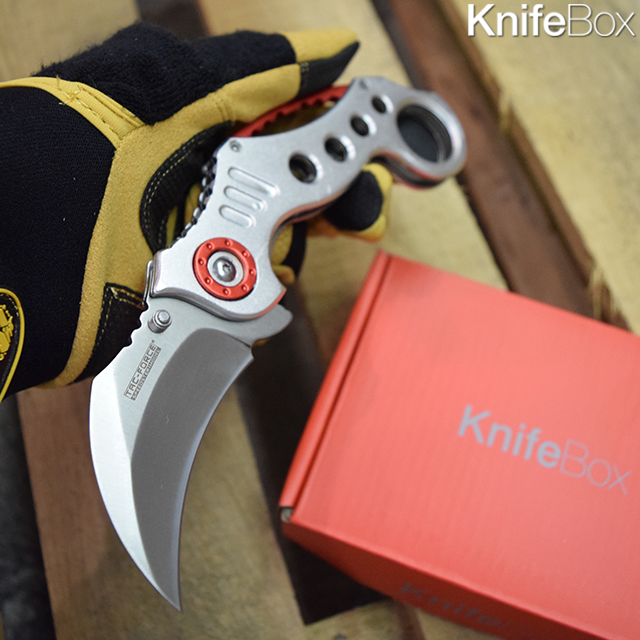 Supported by a comfortable silver karambit style aluminum handle. Includes pocket clip!